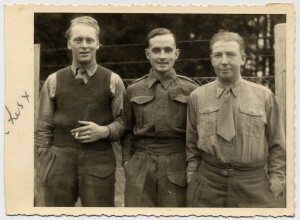 Mrs Juliet Holdaway sent us a photo of her father Wilfred Leslie Ing with two friends in work kommando no. 2771. We don't know the location nor the comrades' names. Can anybody help?